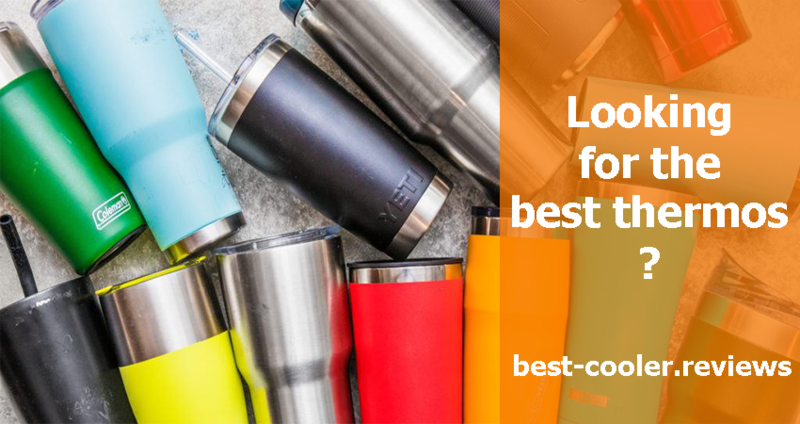 If you are looking for the topnotch thermos for coffee or tumbler, that will please you with the hot coffee in the winter or icy lemonade in summer wherever you go, then you chose the right article. 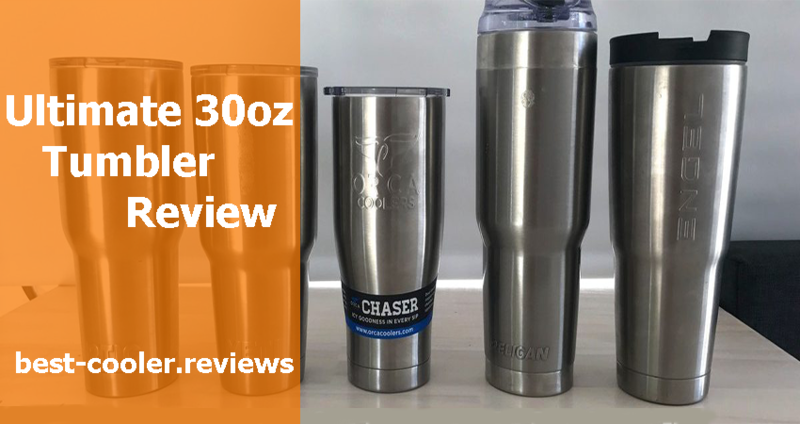 In this review we are going to tell you about various tumblers that are available nowadays, present their main characteristics, advantages and disadvantages. 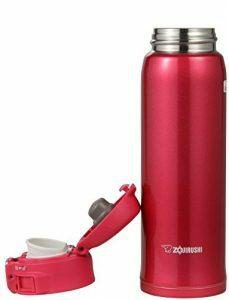 Also you will be able to compare eight best thermoses and choose the most appropriate model for you among them. Here you will see options from the world famous brands as well as other options from brands you probably didn’t hear before, but they all worth your attention. Let’s start! Let’s take a closer look on some of these guys…Challenge started! In this paragraph we are going to make a serious competition between two the most important brands in the world of coolers. Guess which? Of course Engel and Yeti. These brands have recommended their products as the high-end options with the newest technologies and great durability. Now it’s time to compare two their products. 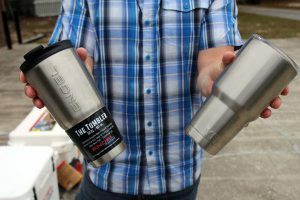 Meet the Yeti Tumbler and the Engel Coolers Tumbler! The most important thing when speaking about coolers (tumblers) is their ability to hold ice. Or rather their duration of the ice retention period. 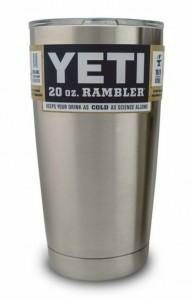 If compare these two guys from Yeti and Engel manufacturers we’ll see that tumbler made by Yeti is able to hold ice during sixty six hours even under the scorching Florida sun. What do you think about Engel? 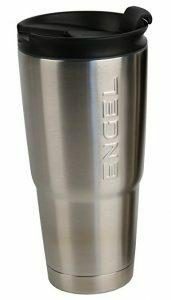 Tumbler made by Engel also does not fall behind and show thirty six hours of ice retention. It is a very good duration of ice retention period because both manufacturers advertise twenty four hours duration of this period. So, at this stage both tumblers showed their best. 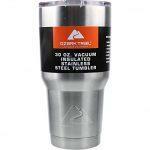 It may seem ridiculous but the tumbler’s color can also influence a bit on the duration of ice retention. If you want to know more about this our team recommends you to check our results where our team has also research rotationally – molded coolers too. Need more information or wanna watch the full comparison of Yeti Vs Engel or other coolers? Check our videos with testing! Everything you should know about Thermoses. Why do we need them? If speaking about the most useful human inventions the thermoses should be definitely included to this list. 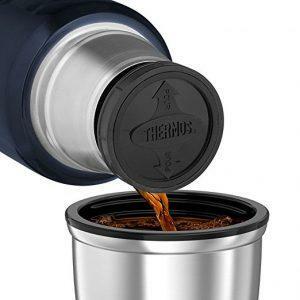 Joking of course, but actually thanks to thermoses you are able to enjoy your favorite coffee, tea or cocoa on the way to work and be sure that it will not cool down in some minutes even in winter or cold autumn. 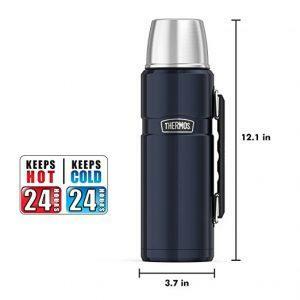 Most of the good thermoses available for purchasing nowadays are able to hold hot inside during more than twelve hours, so you can fill this “magic mug” with your favorite hot beverage and enjoy drinking it during the whole day at work, school or while camping , boating or doing other outdoor activities. What features should the best coffee thermoses have? The first thought you think when hear about coolers is how long they are able to hold an ice inside. 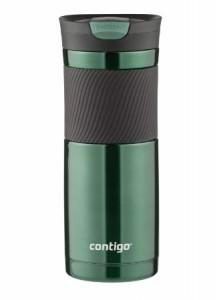 Same thing about thermoses, the first question that occurs is “How long they are able to keep hot inside?” Taking into account that the main purpose of using thermoses is to prolong the period when your drink will be hot, in case of thermoses “longer means better”, the longer the option is able to keep hot, the better it is. Because of this fact a lot of manufacturers do their best to somehow improve the duration of this period by implementing the new technologies. Actually the main technology that is used for coolers is used for thermoses as well. It is the rotationally molded technology. Together with good insulation it can significantly prolong the duration of your beverages being hot and the durability of your thermos. Today the Yeti coolers can boast of the best insulation because of their perfect sealed design and unique double insulation. Just like coolers thermoses or tumblers “work” because of their insulation. 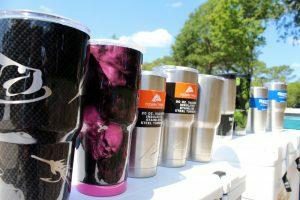 It doesn’t matter whether it will be coffee, tea or soup in your tumbler, or cold or hot you want it to stay, there are some main parameters that can help to evaluate the quality of thermos/tumbler in general. First thing is that it should be made of steel. Not of glass or plastic (although these models cost much cheaper), but of steel. In such case they will be able to keep the cold or heat inside during the longest period of time. The next thing is the tumbler’s lid. Nowadays you can choose among various options available and you will see different lid types. If you don’t want your beverage to be spilled in your backpack we highly recommend choosing the closed lids. In the next paragraph we will present you the best eight thermoses chosen by our team and shortly describe their main characteristics. 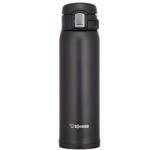 Best eight thermoses available for purchasing today. The Grizzly brand is well known among coolers manufacturers for the high quality of its products. The first option in this list made by Grizzly can boast of the stainless steel body, anti-slippery rubberized bottom (allows you to put it even on the slippery or wet surfaces) and durable molded grip. This model is available in different colors, so you can choose the best one for you. 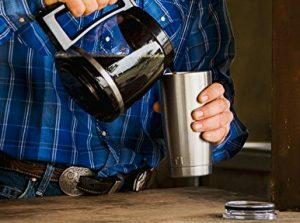 This mug is made with using anti-sweat technology, while its screwing lid allows you drink comfortably from it. The next option is made by Engel brand and is very popular nowadays because of the high insulation thanks to the double walls. This technology allows keep hot or cold inside this mug for as long as it’s possible. With this model you don’t have to worry about spilling because its crewing lid has a special flip-up covering. 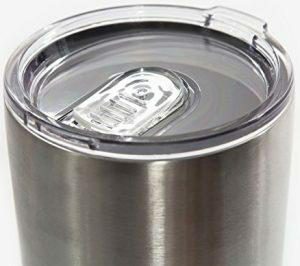 With it you don’t have to open the tumbler’s lid very time you want to drink. 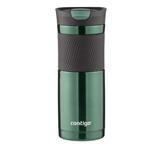 This model also has a rubberized bottom that prevents mug’s slipping on all types of surfaces. This budget option will surprise you with its low price (the budget option in our list) and very good features. 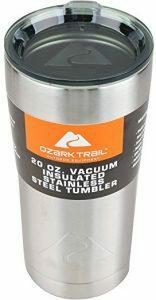 This tumbler made by Ozark Trails showed the best results of holing ice in comparison with other options. Current option as the previous one also has the modern double-walls insulation and is made of durable stainless steel. Moreover it is equipped with the clear lid (snap on type) and special hole for drinking. You can purchase this model in different sizes and variety of bright colors available . One more thing that will please you is the lifetime warranty for this product. Not bad for the cheapest option, yeah? This stylish tumbler is also made of stainless steel as other high-end options. It has a clear lid made with the special slider to prevent spilling. This lid is snap-on type and even is equipped with a slot for straw. 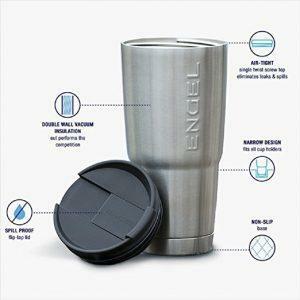 The manufacturer of this mug is very proud of its anti-sweat technology, so even when you fill this tumbler with the ice cold beverages and go out under the sun rays with it, you will never see sweat on its walls. You can also purchase current model in various sizes . One of the main features that distinct this option from the similar ones is that you can use it in a dishwasher. 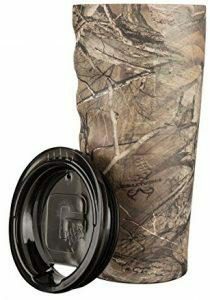 This product has achieved the title “top seller” because of its double walls that provide high insulation level and the unique SnapSeal technology of it slid that prevents spilling your beverages. The manufacturer advertises that this option is able to keep cold during twelve hours and heat during six hours. You also can choose this tumbler in a wide variety of available colors. 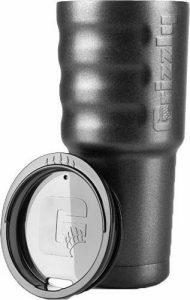 This option is a real “king” of modern tumblers because of its large capacity (forty ounces) and excellent vacuum insulation. It will be the best option for you if you need a larger option to take to work, picnic or anywhere else. The body of this model is made of stainless steel not only outside but inside too. 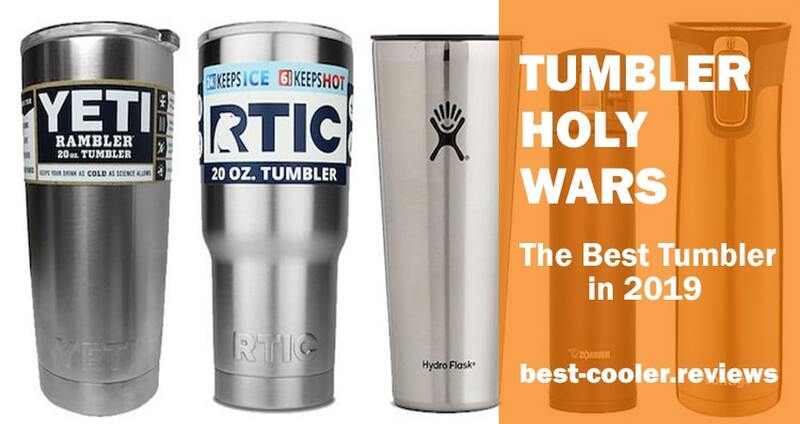 With this option you will be able to keep your drinks cold or hot during twenty four hours, which is a very good result for tumblers. Different colors are also available. 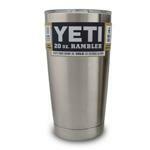 The last option in this list is made by well-known Yeti manufacturer. It’s not a surprise that it is one of the most famous tumblers nowadays. People trust this brand because of its proven over the year quality. 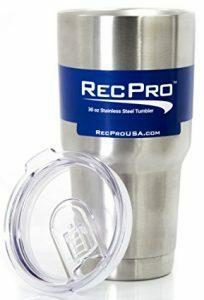 This tumbler is made of the durable stainless steel and has a capacity of thirty ounces (twenty ounces capacity is also available). The excellent vacuum-sealed insulation thanks to double walls construction of this tumbler will provide you with the ability to keep cold or heat during twenty four hours and more. World famous manufacturer, perfect insulation and reasonable price tag make this tumbler incredibly popular nowadays.